Grapes Cut a bunch or section of bunch from bunches in bowl with knife or scissors (never absent-mindedly pull off grapes from centerpieces or arrangement of fruit). Eat one grape at a time, after placing bunch on serving plate. Grape skins, if you can’t eat, should be cleaned in the mouth but not chewed, then removed in the cupped hand with the pits and placed on the side of the plate. Or, holding the grape with the stem end to the lips pop the inside into the mouth and lay skin on the side of plate – if they will pop. This five-decades-old advice still stands, well at least the first part. The last technique sounds pretty darn risky. 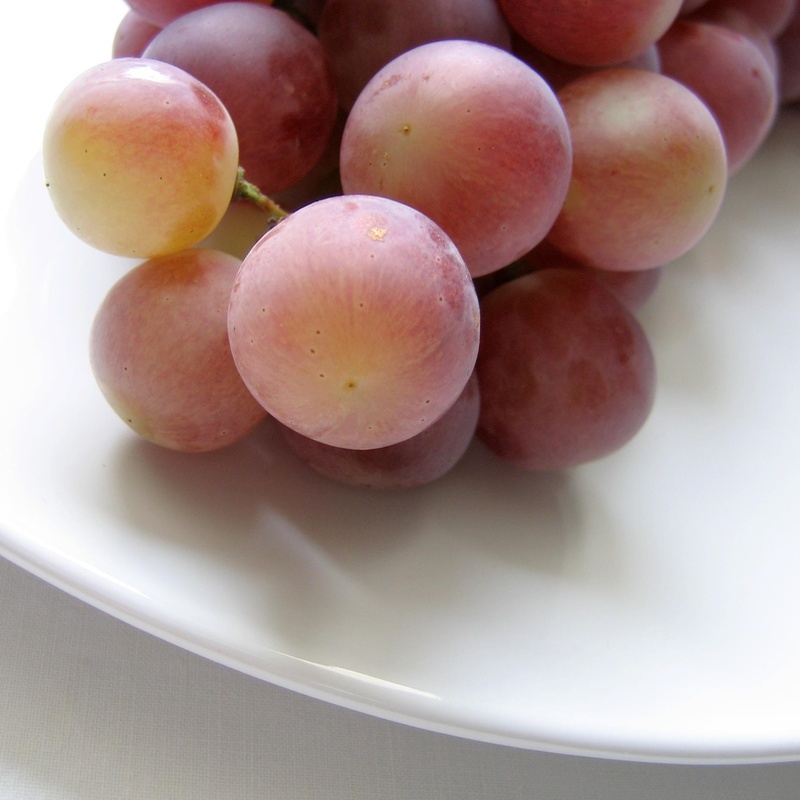 If you serve grapes, take the next step and cut them into small serving size bunches. It may not look as dramatic but your guests will like it. Or, if you have grape sheers (these are not just a Victorian frill, Google it) get them out! Vanderbilt, Amy. “Chapter Twenty-Seven/Manners at the Table/How to Eat Various Foods.” Amy Vanderbilt’s Complete Guild to Etiquette. Garden City, NY: Doubleday, 1952. 237. Print.